Mine: Very well done biopic about Queen and Mercury in particular. They play somewhat fast and loose with the story, but the performances are really amazing. Each of the band members is spot on. Really quite powerful. 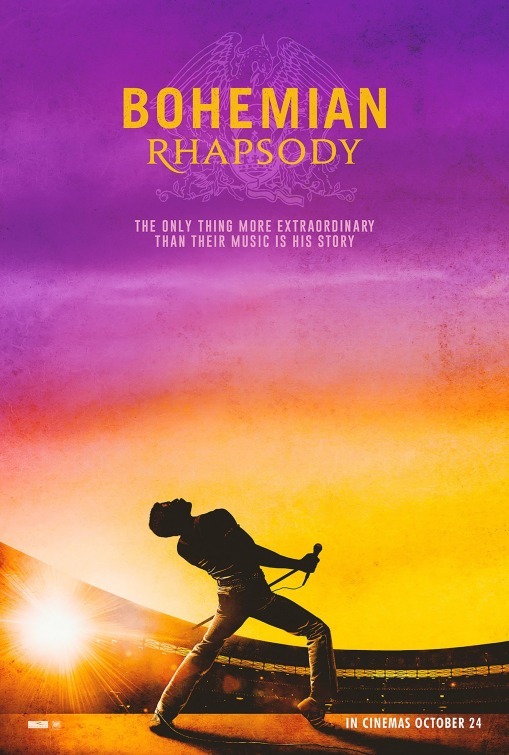 Leonard Maltin/Plot synopsis: The story of the legendary rock band Queen and lead singer Freddie Mercury, leading up to their famous performance at Live Aid (1985).